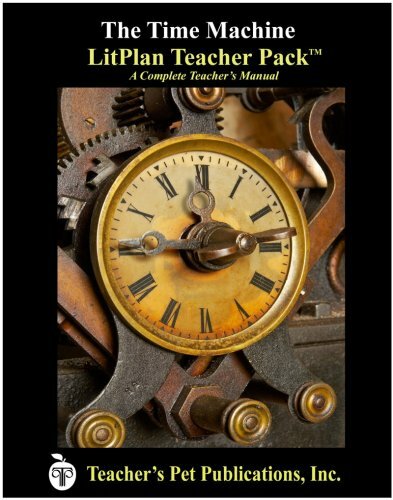 Essentially a complete teacher's manual for the novel, this LitPlan Teacher Pack includes lesson plans and reproducible resource materials for The Time Machine by H.G. Wells. It includes: Daily Lessons, Short answer study questions, Multiple choice quiz questions, Vocabulary worksheets for each reading assignment, 3 detailed writing assignments, Individual and group activities, Critical thinking discussion questions, 5 unit tests (2 short answer, 2 multiple choice, 1 advanced), Evaluation forms, Review puzzles & games, Bulletin board ideas, Reproducible student materials, and more!